This post is now kept for historical & educational purposes. Our plugin is currently at version 2+ featuring much improved code with advanced features. 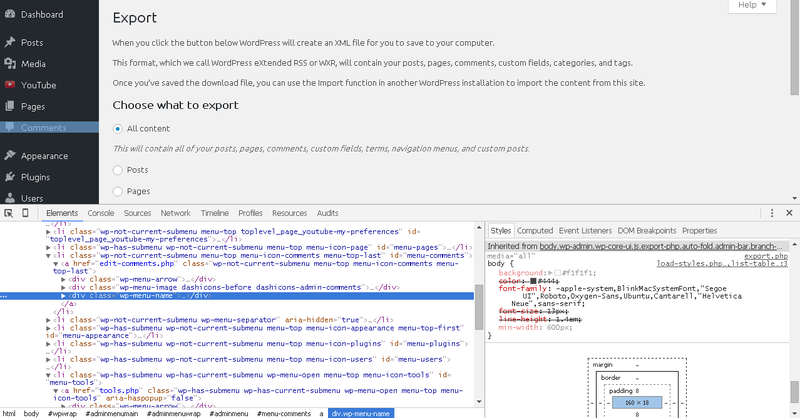 Download it from official WordPress.org plugin repository. In latest WordPress version 4.6 a new admin system font change was introduced, moving away from “traditional” Open-Sans font-face type (introduced back in 3.8). Here is how you can restore the old look & feel without modifying core files. WordPress 4.6 Admin Font Change Fix – How To Restore Open Sans Font? However, this (<body>) is just a surface. If you dig deep into other areas of administration panels and sections (id, class), you will immediately realize that this is not a coincidence or a fluke, but a carefully planned and conducted system-wide change. Everything, from Admin Toolbar, Website Title, and even Media Manager/Editor is influenced by this change. So, we can safely exclude the case of accidental introduction of new font scheme from a contributing developer. The logic behind this move from WordPress developers is simple: most current operating systems UIs have evolved enough and use modern font families (web optimized, clear type), thus by switching to system fonts reduces one or several external resources (like Open-Sans from Google servers) and makes things load & render faster. However, as we can see from above screenshot, in different operating systems (Linux, Mac, Windows) and different browsers, different font families will be used, and user experience will greatly vary. But, that would be a tedious task, of course. The simplest change that would affect most of the Admin sections (but not all!) would be to edit common.min.css (and optionally common.css) file and look for body line, then make the change. Of course, we aren’t gonna do that here, as modifying core files (even benign ones such as .css styles) is never a good idea (they will be overwritten with the very next WordPress core update). The above presented code is a quick & easy fix to customize your Admin Dashboard appearance. Please, keep in mind that this is a preliminary and incomplete solution that might be changed at any given point in time in the future (or even stop working, if the div IDs change, for example — but, let us hope this is highly unlikely for the time being). Also, keep in mind that this is a great solution for those who develop & use custom themes (self-managed), or for 3rd party themes that provide custom override functions options that will not be over-written with each new theme update. In case you use regular themes with frequent updates, this solution is not optimal, as you will have to re-insert above code after each theme update. In that case, you might apply our custom plugin solution presented below (or seek some more robust and complete Admin Appearance customization plugins). This is very simple to do: we can convert above theme function into a stand-alone WordPress plugin, which does not require theme modification at all => theme updates are no longer an issue. Description: Simple plugin to replace font(s) in WordPress Admin Dashboard with Open Sans. Go to Admin Dashboard > Plugins and Activate it. It is a simple plugin without any settings and menus, and you should immediately notice the font change after plugin activation. Naturally, this plugin should be used only in WordPress versions 4.6.0 and above, it does not check for any WP version compatibility, as it is just a simple CSS embed function. Would there be any harm if you’ve installed it in an older WordPress version (say 4.4.x)? No, absolutely not, but you would simply duplicate redundant code for no reason at all, thus the compatibility is marked for core version(s) 4.6.0 and above. Very useful input. It allows me to customize the admin area to my likings. It is still work-in-progress, but it does the job of restoring Open Sans font for the time being. Method 2, Step 1 shouldn’t it be wp-content in stead of wp-includes? Not sure if I understand problem you have – could you elaborate a little? Also, have you tried our official Admin Custom Font plugin released @ WordPress.org? We are using it and it works just great! 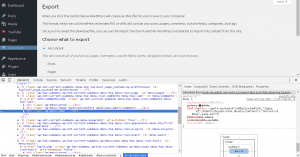 great tip, helped me a lot to get a clean WP Admin UI with this home made plugin. I love the plugin however I have to report a bug. With the latest version of the plugin if you try to login as an editor you get the “You do not have sufficient permissions to access this page.” error instead of the Dashboard. it works if you login as administrator. Hi Nicu, thank you very much for reporting this bug! It will be fixed in 2.1.3 release ASAP, so the plugin will be effective for all users that have some form of access to the dashboard (Editors, Authors, Contributors, Subscribers – not only Admins). Thank you so much. This is an excellent solution for me. I have searched a solution for switching admin font all day. It is very essential soultion for a Korean wordpress users. Because wordpress is based on English character, so wp_admin looks very ugly when you edit Korean article. By the way, could you support NanumGothic, NanumBarunGothic for Korean? It is in Google Font EarlyAccess. 워드프레스 (wordpress) 관리자 화면에서 TinyMCE, Advanced TinyMCE 한글 폰트 변경하고 싶으면 Admin Custom Font 플러그인을 찾아서 설치하세요. 워드프레스 4.8 버전까지 문제 없이 지원합니다. Can you see my site [removed] and suggest me how do i change fonts globally into wordpress admin panel and website. Hi Pawan Kumar, this plugin will affect only Admin/User dashboard when they are logged-in. In order to change font on the front-end side, you need to either modify your theme or use a plugin that can change font/appearance of other themes, assuming that they are compatible (e.g. 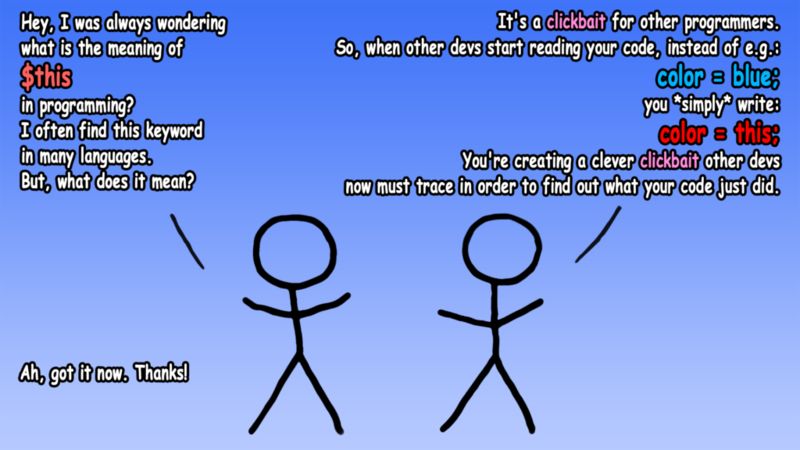 that theme supports font change through other plugins). There are many such plugins @ WordPress.org for front-end font customization (e.g. just search for “font”), so you have to try and test them and see which one works best. As far as I know, there is no universal single plugin that can change both admin and front side at once. Hi, we have already answered this in the beginning of the article: /wp-admin/css/ directory holds style definitions for the admin theme. You can manually edit each one of them to include new font faces (either local font file copies or from CDNs) and apply font-family changes throughout entire files where needed. 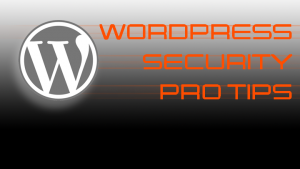 However, we do not recommend this method at all, first, this is a very tedious job, and second you will lose option to auto-update WordPress for security and other improvements!